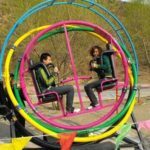 One of the most fun, unique, and extreme rides you`re likely to find in a modern amusement park is the human gyroscope ride. In this guide, we`re going to take a closer look into the main features of this ride, and we`ll also explain some of the reasons why they`re so appealing. 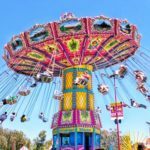 By the time you finished reading, you`ll know whether this is the kind of ride you be interested in adding to your amusement park – so let`s get straight to it. To begin with, what exactly is the human gyroscope ride? 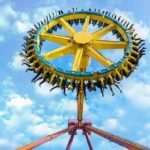 Well, at its core, these rides share a lot in common with the simulation machines used by astronauts and fighter pilots to become accustomed to varying g-forces, as well as the disorientation that occurs when flying in unusual directions. Of course, this may not sound like much fun at first – but we assure you, the ride is actually a huge thrill to experience! 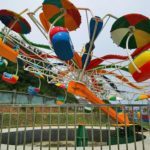 Essentially, these rides allow for one to two passengers at a time (although larger ones can feature more), and the ride will rotate through a 360 degree axis in an unpredictable way. 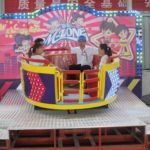 What`s more, the rides can move either slowly or quickly – which obviously has some effect on the intensity of the experience. The physical sensation is difficult to put into words, but the strange and special sensation is certainly something that`s fun and exciting to experience. 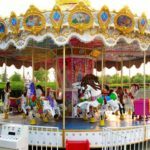 Ultimately, these rides are best suited for the real thrillseekers – so if you`re running a theme park that caters for toddlers, this ride certainly won`t be on your shopping list! However, if you`re looking for something exciting that young adults and teenagers will love, then look no further. One of of the most interesting features of the human gyroscope ride is the detailed artwork and design that you can put into them. Due to the three rotating bars, you have a lot of room for creative paint schemes, and many designers are happy to add a great deal of artistic flair to the design, which can really make them unique and special. Next, let`s examine some of the key technical features of this ride. To start with, most of them are constructed with fiberglass – which is then reinforced with steel and plastic for added safety and security. 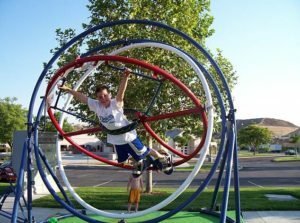 While they may look hazardous, a well designed human gyroscope ride is actually very durable and secure. What`s more, the construction process and high grade materials mean they`re highly resistant to erosion and rust – but it`s always best to keep them out of the rain! 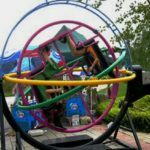 Overall, it`s easy to say that the human gyroscope ride is a thrilling ride that`s best suited to the most adventurous of passengers. While it may seem unusual – and your first few riders are likely to be quite skeptical – it`ll quickly become one of the best features your park has to offer, and for many riders, it will be an experience of a lifetime. In fact, don抰 be surprised if you see the passengers queuing up for another go as soon as they`re finished! 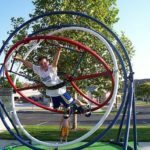 What Is The Thrill Of A Human Gyroscope Ride?